Q1. Can I purchase your products with a purchase order? A. We do accept school orders. Please send an email to cs@merconnet.com if you need an estimate, we will reply within 24 hours. Q3. I was wondering if their is a group or individual discount that teachers can utilize. A. Yes, there is a group discount for document cameras, please contact cs@merconnet.com for more information. Q4. Is there a discount for schools or do you have an eRate discount? A. All our discounts are displayed in our website. Q5. Do you have the document cameras in stock? Q6. What information do you need in the PO? Q1. Do you ship to Canada? Q4. I placed an order before, but did not receive my invoice, how can I get a copy? Q5. We are in Mississagua, could we pick up our order? A. Yes, you can, please contact us to arrange a pick up time and provide you with the address. Q6. How do you ship to USA? A. We use USPS postal service,priority mail, it takes 2-4 business days for orders to arrive and we ship from Washington State. Please note that we don’t ship IPEVO products to the USA. B. Note that customers out of Canada may be have to pay customs fees when the product arrive to their country. These fees are buyers responsibility. Merconnet Electronics is not responsible for any taxes or customs fees. Q1.Will I be able to see the live video feed in Quicktime and thus be able to record the incoming stream using the 'New Movie Recording' function? Q2. With the macbook, it's possible to capture the video and sound on the IPEVO P2V by using Q. Quicktime. Is this true? And if so, is there any chance of you guys putting out a tutorial for it as you did with Google Picasa? A. P2V will do the job for video, but you will need an alternative audio input device since P2V does not have a mic built in. From Apple website I see that video capturing is a function for Quicktime Pro, not sure if it is also available in the free version. The tutorial we made are mainly targeting free third party softwares that can benefit out customers without costing them extra.
. P2V can record videos if suited with right softwares. For example, you can use movie maker under Windows, or quicktime with Mac, or any other recording softwares that supports video recording via USB camera. Q4. do you know if P2V works with Snag IT? Q5. I actually use an ENO Board not a Smartboard. Would it be silly to assume that it can be used with this as well? Can I use the IPEVO without the ENO Board? A. I believe there are features that cannot be achieved without ENO Board's software activated. However, we've never tested P2V with ENO Board so we cannot guarantee its compatibility. You are more than welcomed to try and share your experience with us. Q6. Is there an online video site where i can video what my camera is seeing? A. You can try websites such ashttp://www.livestream.com/ Or google keyword "live stream". Q7. I lost my installer disk for the p2v software. can I download it from your site anywhere? Q8. I have tried the camera on two different PCs running Windows 7 and I get nothing but a black screen when I try to run it with your software. The camera does work with Skype and with Elluminate web conferencing, but just not with the software I downloaded from your site. I downloaded the latest version today, but still no luck. I have tried adjusting the resolution, but that didn't work either. Any suggestions would be appreciated, as I really like the camera. A. P2V can only be activated in one program, perhaps you have Skype locked P2V while trying the launch the P2V software? If that's not the case please email us at cs@merconnet.com We'd like to create a support ticket for you to better track your issue. Q9. Is this camera sufficient for stop animation, specifically Lego animation? We have customer shared that the exposure is constantly changing due to the auto focus function of P2V. Therefore, the darkness of each shot may vary from image to image. We've been working on the software to lock the exposure but that hasn't been done yet... Other than that P2V is pretty friendly for stop animation. Q10. Works fine on one laptop running Vista, does not run at all on the laptop running Windows XP. So not the camera but its ability to run within Windows XP. DO you have other drivers which would allow it to work? A. do you see any broken image, or black image? Do you see the red and green led indicator turned on? Please describe the errors you are seeing to cs@merconnet.com so we can further assist you on this issue. Q11. I can't seem to get this webcam to work with Adobe Flash. I've got the most recent version of Flash, and the webcam works fine with Skype and the included software. I have another webcam and it works fine with Adobe Flash. I've checked the settings in Adobe Flash, and I can't set the camera, Flash isn't recognizing it, although it recognizes the other webcam fine. Is there anyway to resolve this issue? I was hoping to be able to use something like uStream or Livestream and send out a live feed of what I'm viewing in the camera. 2. if it does show than for few seconds and gets stuck ! I am in IT so i have tried to update and try different mac.We have new macbook pro with snow leopard 10.6.4. Are you saying 1 of the P2V does not work on multiple Macs you've tried, and the other works fine on the same machines? If so, perhaps one of them is defective, please contact cs@merconnet.com for returning/exchange. We'd also like to get it back for analysis purpose. Q13. Does this work like a regular doc camera. So I have a lcd, mac book, smartboard,...let's say I want to show everyone my great book that I am reading, can it project it up on the smartboard like I can with my elmo. a. P2V certainly projects image on to your smartboard. The thing is, P2V requires its software (or other video software) to be launched in order to produce image for projection. I am not sure if the software for smartboard is 100% compatible with P2V's software. Hardware wise I can assure you it certainly projects fine images. If you found P2V does not suit your need with smartboard you can always return them within 30 days. If you find P2V works with smartboard just fine please also kindly share your experience with us. Q14. got mine yesterday, installed the software and plugged in the camera and NOTHING! no picture! The little green light is on on the front of the camera. I have unistalled and reinstalled the software and NOTHING!!!! a. This happened to me. However, if you open the application first, THEN plug in the camera to the USB port, it works fine. Q15. At least on a Mac computer this product does not work well at all: there are problems with Skype (images are blurry, not possible to use fixed focus), the autofocus feature is all over the place (meaning the picture is constantly shifting in and out of focus even when fixed on a stationary object), no depth of field and the color reproduction is bizarre. Sorry, but this is bottom of the barrel stuff that should retail for $10 tops. Mine's going back to the shop. A. Please try another USB port and please make sure that you have the latest software installed. Please refer to this link: http://support.ipevo.com/#P2V. If the issue persists, please send an email to cs@merconnet.com. We will try our best to resolve the issue. Q16. I can't view a picture in full screen mode. When I click on full screen, my screen is black. What do I need to do? Q17. I got this cam Today, the image captured is burry, is it normal? Q1. Is there a way to use this camera with Mac OS 10.4? Q2... is there an update drive for MAC 10.7 LION? Q3. I just purchased the Point 2 View; however, my laptop does not have OsX10.5, is there software for earlier versions? A. We do not have P2V software for earlier version Macs. Though it says OSX 10.5 or later on system requirement, some of the older version OSX may still execute the software correctly. You may want to give it a try anyway. Q4. Does it work with Ubuntu Linux 10.04?? or a way to make it work in Ubuntu? A Our P2V USB camera supports USB 2.0 Video Class (UVC), so it will work on all systems that supports UVC without any driver. However, we cannot promise P2V will be fully compatible with all softwares. Q5. I got one of these on loan from another school district to try out. Works fine except for one teacher with a macbook that also has a usb hub plugged into her mac - and had three other devices plugged into this ( wireless mouse, smartboard and full size table type doc cam) the camera would only show a gray screen unless I unplugged the hub. Was there just too much of a draw from the other devices that the Ipevo just couldn't get enough juice for itself to operate properly? A. We do not recommend to use Point 2 View Cam with an USB hub because many factors may affect the compatibility. From your description it sounds like too much power was drawn by other devices that P2V cannot maintain a functional power input. If there is simply not enough USB port on her mac, perhaps you can try a hub with extra power input and see if that solves the problem. If you have further questions please email us at cs@merconnet.com to have our customer service team investigate into your questions. Q6. This looks great and much more conducive than the bulky ELMOs, however, is it will it work with MAC OS 10.6? Do you need to purchase the USB cords for the laptop? A. Point 2 View Document Camera works with MAC OS 10.5 and higher, and it comes with an USB cord attached to it so you wouldn't need another USB cable. All you need is a free USB port on your laptop. Q7. Is this compatible with MAC and can you hook a projector up to it? A. Yes, P2V is compatible with MAC OSX 10.5 and above and is intended to be used with a projector! Q8. I've just received a IPEVO and it works just great on my PC but I'm having problems on my Macs. Instead of a video image I'm getting a my desktop reproduced in the IPEVO screen. Any ideas what I'm doing wrong? b. Could you give us some more detail about your Mac? For example, what version is your Mac OSX? c. P2V is fully compatible with Windows 7 and uses a CMOS sensor. I am not quite sure what you are looking for as a "glass lens", but I guess P2V lens can be considered as a glass lens I suppose... It'd be great if you can elaborate on your doubts regarding P2V. You can either email us at cs@merconnet.com or simply reply here. Q10. installed on my school laptop (mac) and it works fine. Why not on my Dell running windows 7? b. Is your Dell computer running windows 7 the one you mentioned that is giving you nothing on the picture? Q11. Can you hook it up right to a projector? Q12. Our school is stuck in 10.4 as a whole. Can I "plug n play" it in another application or something? Can't wait to fire it up and teach my first graders. The P2V does not support Mac OS X 10.4. The system core is different between Mac 10.4 and Mac 10.5. Thank you for your interest in our P2V! If the stand of the P2V does not extend long enough to include the full letter sized page in the projecting area, we recommend you to place something hard under the P2V to act as a stand to project the whole sheet of paper. A. If the stand of the P2V does not extend long enough to include the full letter sized page in the projecting area, we recommend you to place something hard under the P2V to act as a stand to project the whole page of a letter sized 8.5 x 11 inch paper. Thank you. Q2. I would like to know if the camera will show a 8.5 X 11" paper? A. P2V can shoot clear image to as close as 2 inches. If the object can fill the frame at that distance that would be the size you are looking for. A. We have heard a few customers trying to fit P2V on to microscope and other devices. Unfortunately we do not have an adapter for such usage. If you successfully mounted your P2V on to a microscope please kindly share with us. We'd like to see that and share with our users. Q5. The type of presentations I do for educators, I need to be able to toggle back and forth between powerpoint presentations on my laptop and items displayed under the doc camera. How does this work with the IPEVO Point 2? Also, do you see in the near future any possibility of extending the arm so that it won't need to be elevated on another surface? Thanks! A. If you choose to use P2V's software for your presentation, you will then need to switch between your powerpoint and P2V software. All it takes is a few clicks on your mouse, or if you use hotkeys to switch between windows. The extension of the arm will depend on what object are you trying to project. We are now mainly focused on including full A4/letter sized paper into the image since it is a document camera, if what you are looking to project is larger than that you may still need some extension even with the next generation P2V. Q6. Has anyone used this to project books, etc. ? Does the stand extend far enough to allow for this? Q7. Can i capture pictures and or video to my computer at floor level? Will it auto focus? I have a usb extender cable (boosted signal). I intend on piggy backing an led flashlight in darker situations. A. We cannot guarantee that P2V will work with your USB extender cable. We have tested and found that P2V stop working properly when the extender cable is too long. I certainly wish the boosted signal cable of yours works. Auto focus is one of the most important features of P2V so that shouldn't worry you. You may need to give it a few tries before you can find a good light source to work with P2V though. Q8.Can you use it to show things under a microscope? A. P2V should be able to source a clear video from a microscope. The only worry is that you will need a way to attach the P2V to the microscope, or some how lock them up together. Q9. The 60MB of built-in memory is essentially useless for doing any kind of video recording, so you’ll want to factor in the price of a large SDHC card if you intend to actually capture anything, but a 32GB card should hold up to 12 hours of 640×480 VGA video. The rechargeable lithium polymer battery is rated for 5+ hours, though I’m not sure if that’s with the 3.5-inch TFT LCD display turned on. A. P2V supports image and video capturing (video capturing can be done with 3rd party softwares) so sand animation shouldn't be a problem to take a picture without using the computer, you can use the snapshot button on P2V. If you'd like to remote control the P2V via another computer you will need to setup the remote control and launch the P2V software from there. Q10. Is it possible to work remotely from the computer for single shot? P2V supports image and video capturing (video capturing can be done with 3rd party softwares) so sand animation shouldn't be a problem. To take a picture without using the computer, you can use the snapshot button on P2V. If you'd like to remote control the P2V via another computer you will need to setup the remote control and launch the P2V software from there. Q11. The projected image is a little dark. Is there an external light source that can be put with the camera? There is no external light source with P2V camera since there were no perfect solution for all possible projecting environments. We recommend you to use a small lamp with adjustable arms to achieve the ideal brightness of your image. Q14. You need to add a manual focus adjust. The autofocus does a nice job most of the time but some scenes are too difficult for it. The fact your software doesn't capture video seems a bit odd. The camera will do it but you have to use third party software. And yes your web site talks about it being a "Static" camera. It also talks about the camera being good for video calls. The following quote talks about real time video. * Capture real-time video for large-screen presentations in a business or educational environment I find it a bit annoying that you promote the camera for these applications but neither supply video software or certify that it will work with any specific third party software. A. We have forwarded your suggestions to relevant division. Q1. Can one connect the ipevo camera to an ipad2? 2. P2V only works when plugged into a computer running Mac OS X or Windows. Q2. Will the camera work using the USB adapter on an iPad, allowing the images to be captured on the iPad. A. Currently we do not have nor are aware of any app on iPad that can show live image from an USB device so P2V will not work connect directly to iPad. Q3. Does your app take image feed from other devices which connect to iPad? For example, P2V? A. We have been testing a few of these at our elementary school and so far have been very happy with them. I would like to know if you have plans or know of anyone who has released a drive for Linux or Android? I would love to run one of these off of an Android tablet and want to know if it is possible. Q4. I have an iPad and a USB port connector for it. Can I use the IPEVO with my iPad? A. Currently we are not aware of any USB video sourcing app on iPad so there is no way to get the P2V to work on iPad. If you know such an app you are more than welcomed to share your find with us. Q5. Does this article have the function of the manual iris? When I copy the devices emitting light such as smartphones, a manual iris is necessary. A. The P2V camera is fully automatic and does not offer the function of manual iris. However, most of our customers are primarily using the P2V to show images off their smartphones so we do not see a problem here. Q6. I need to be able to 1) do a product web demo on my iphone/ipad and 2) show a whiteboard on a web demo. I know the IPEVO can handle #1, my questions are specifically about #2. Can the IPEVO focus on objects at a distance? If so, how far away? How does a whiteboard look on the camera's video? Is glare a problem? A. P2V can definately be used to project whiteboard. Focusing wouldn't be a problem, however, you wouldn't want to use it on too big of a whiteboard as the writings can be too small as the project distance gets further. Also that you will want to avoid a direct shooting of lights on the whiteboard in order to avoid glare. Q1. I don't have a LCD projector in my classroom, only an overhead projector for use with transperancies; will IPEVO work in my situation. A. P2V will only work with a projector that supports projection of a computer screen, as P2V only works via a computer or laptop. Q2. I have a smart board w/projector, can i use that projector with the IPEVO...also how do I attach this to a ipad? B. We've heard from educators that P2V works great with smart board, however, we've never actually seen how it work. I assume there is a way to project the image with P2V while smart board functionalities remain accessible. All USB devices can be attached to iPad via the iPad Camera Connection Kit, but P2V does not work on iPad since we cannot find an app that allows iPad to take live video feeds. Not sure if this is a limitation from iPad or simply no one made such an app on iPad. Q3. I want to use a document camera with a projector to show what it is "seeing" on a screen in front of the classroom. I haven't bought either one yet. Do I need to have a computer in the mix too? As you can see, I need advice badly! Is your PV2 compatible with my idea? Q4. Do I need to purchase a cable to connect the computer to my Digital Projector? What kind of cable? A. The P2V needs to be connected to the computer via USB port to work. To connect your computer to your Digital Projector, please check the specs of the projector to know what kind of cable is needed. Q5. I bought the Point 2 View to use in my classroom but my district won't let me load the software onto the my classroom computer. Do you have to use it with a computer or can you plug it directly into an LCD projector? A. P2V has to be connected to a computer in order to generate live image. If you are not allowed to load the software you can use the built in webcam viewer to generate live image with P2V. Or if the computer has any other webcam software they can be used with P2V as well. Q6. Does the ipevo work by plugging into a projector without a computer? A. IPEVO Point 2 View camera does not directly output video signal via USB cable, so it will have to go through a computer to project images. Q7. What is a good projector to use with this? A. Since P2V supports up to 1600*1200 resolution, it is recommended to use a computer and projector that also supports 1600*1200 for the best projecting effect. Q8. Can this viewer just be hooked up to a projector, without having it hooked up to a laptop. I really am more interested in having this project student work and text at a moment's notice. A. P2V can only be hooked up to a projector via a computer or laptop because the software is necessary to source the image from P2V. We are aware that there are some projectors claiming it can use its built in USB port to project contents but they are mostly for USB drives, not an USB cam like P2V. Q9. Is there any way to connect it directly to an LCD projector or do you have to go through a PC or laptop? I don't see any examples of connecting the device directly to an LCD projector. A. P2V has to go through a PC or Laptop for the software to source the video feed from the device. Connecting it directly to any projector will not work. Q10. Will the camera work if I connect the IPEVO Point 2 directly to the projector without using a computer? B. P2V has to go through a computer in order to feed the image to your projector. Connecting it directly to the projector will not produce the image. Q11. Is this compatible with MAC and can you hook a projector up to it? Q12. I have a P2V and cannot use it thru my laptop with your program to a projector, I have to use my laptop's own webcam program. Is there a reason I am not getting your program to pass to my projector? A. May I ask if the P2V program work when you are not trying to get it to the projector? We will need more information regarding your laptop and other setup, please email us at cs@merconnet.com for troubleshooting discussion. Q1. Does the IPEVO Point 2 View USB Camera record sound? A. P2V does not have a mic build in and thus does not record sound. Q2. Everything else is cool but I need a mic. Can you suggest a mic that would go with this? A. Point 2 View USB Camera and its software are designed to take static photos only. If you'd like recording function with sound input, we recommend you to purchase a standard recording device that suits your computer. Q3. Does this model (IPEVO Point 2 View USB Document Camera) have adapters to connect to a microscope? A. We do not currently have any extension devices that can added up to our Point 2 View camera. Q1. Is there any problem using the P2V with a notebook computer that doesn't have a CD drive? That is, is all the necessary software that comes on the CD, also easily available for free downloading? Q2. Our technology is extremely outdated, with many PCs still using Windows 97. Can the P2V run on that operating system? If not, what is the oldest OS it can run on? Q3. I cannot get my camera to work with the software? It seems that when I open my computer there is an icon that looks like an old camcorder and when I click on it the image shows up there? I have installed, uninstalled, downloaded software from your website, restarted the computer, reset the computer recovery date. Nothing seems to work. Frustrated. Very frustrated. a. If you double click the icon on the taskbar it should bring up the main window that is showing the image. Are you saying that you do not see the main window but only the icon? If so, please try to launch the software with P2V "unplugged" and see if the window shows up. Please update us at cs@merconnet.com for further assistance if you need any. Q4. I just got it this week, so would assume that would be the newest version. I cannot connect to the site you are suggesting. I ran the software and then plugged it in and it worked. Do I have to run the software everytime I unplug it and plug it back in? c. If you need to use the P2V as a document camera, then yes. You need to open the P2V software to control the camera. If you need to use it for other applications such as Skype, please make sure that P2V software is closed. The P2V can only transmit images to one software at a time. Q5. Does the image display full screen? With most webcams, you only get a small picture display of the image the camera is capturing. It looks like this will display 100% full screen based on the pictures above, but I just want to check to be sure. B. Yes, with the software P2V we design for Point 2 View document cam, you are able to choose the full screen mode. Q6. Could the Snap software has the automatic snapshot feature? For example: I would like it take picture and save it every 2 seconds. A. That sounds a great feature but I am sorry we don't have this function right now. Q1. What is the life of the bulb and how much does a replacement bulb cost? A. There is no bulb in P2V. A. P2V is a document camera. Certainly P2V cannot completely replace everything you can do with Elmo, Lumen...etc, but P2V offers you the ultimate portability while still does the job -- shoot the documents. The versatile stand is great for documents as well as webcam chats. With P2V, it is easy to lock on the face at any position, as well as all the objects around your computer. P2V is a document camera, but it is not limited to a document camera. It certainly cannot match all the functions provided by the biggies such as Elmo, but if you are looking for an affordable alternative, you cannot deny P2V's presence. Q3. I want a thin, camera that can zoom in and out pretty nicely. i also want good quality pictures. i also want to be able to record things. A. I am not quite sure what do you mean by "thin", but IPEVO P2V, as you can see, is very portable in size and zooms in and out as you need them. 2 mega-pixels image may not be the best you can find in the market, but it is sufficient to provide clear image up to 1600*1200 resolution. P2V is capable of capturing video, but the down side is that you will need a software that records video (included P2V software doesn't record video) and if you want sound inputs in your video you will need a microphone as well. Q4. I am a teacher based in the UK and interested in the P2V to use for animation using iStop Motion. Do you know if it would be suitable and whether it works with iStop Motion? a. 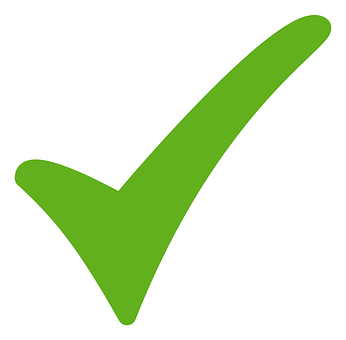 We have never tested iStop with P2V before so we cannot give you a confirmed answer. Please note that some of the softwares on Mac will lock to its built-in webcam, we are not sure if iStop supports capturing image source from P2V. Q5. Is this compatible with a MOBI Interwrite Board? I would like to project a worksheet on my projector using this document camera, and then use the whiteboard to write on top of the projected worksheet. b. Works on a PolyVision board just fine - should work on yours. c. We have never tested MOBI with P2V before so we cannot give you a confirmed answer. May I remind you that all goods purchased from IPEVO can be returned for a refund within 30 days, meaning it is risk free to purchase and try the combination yourself. Q1. I am getting the USB device not recognized when plugging it into my Win7 computer. Software is installed and the software runs but no camera picture. A. Can you please try a different USB port on your computer? Try them all if necessary. Please also try to launch P2V with another software (ie. Skype, AIM.. etc) and see if it works. If the problem persists please email us at cs@merconnet.com for further assistance. Q2. Can I capture pictures and or video to my computer at floor level? Will it auto focus? I have a usb extender cable (boosted signal). I intend on piggy backing an led flashlight in darker situations. We cannot guarantee that P2V will work with your USB extender cable. We have tested and found that P2V stop working properly when the extender cable is too long. I certainly wish the boosted signal cable of yours works. Auto focus is one of the most important features of P2V so that shouldn't worry you. You may need to give it a few tries before you can find a good light source to work with P2V though. Q3. I have tried to connect the P2V to a Dell GX 620 computer and it will not recognize the camera in the software program. I have tried 2 different GX620's and with the same result. I did try the P2V on two other models of computers and it worked perfectly. Is there something that I can try on the GX 620 that could help with the product and software installation? A. Did you try alternate usb ports? Some ports have more wattage than others, particulariy the front ones are often of less wattage. Also if you have a lot of usb connections you may need a booster to support all the externals. We had to try all the ports on one of our teacher's dell, tho other teacher dells did not have the problem. Q5. is it possible to connect the ipevo directely to the usb port at the beamer if I don"t want to film but only to show what I`m drawing on paper? a. P2V needs to be connected to a computer in order to for the software to source the video feed. Connecting it directly to a projector will not generate the video output. Q1. DO you have replacement parts for the stand available? I have used it twice and the screw has come out and will not go back in to keep the stand upright. Please advise. A. Please email cs@merconnet.com and we will guide you through the process. Q2. Would the Point 2 View camera have sufficient lighting from what is available in our classrooms? A. You have the ability to adjust your lighting through the ipevo itself. Q1. What are the differences and similarities between the IPEVO and a typical document camera? my goal is to use which ever i purchase for projecting pages of a book while reading to a class. thank you. your product looks very inviting! A. The very first thing you will notice that the IPEVO P2V is different from a typical doc cam is probably the price or the size. Q2. Does it rotate view 180 degree? If not it will be hard to write and project at the same time as the camera will either be in the way of the writing hand or the teacher's eyesight. A. The function you are looking for can be done with the "mirror" option in P2V software. You can rotate the projection image in all 4 directions with the mirror option! Mirror option provides the feature to flip the image either horizontally or vertically, making it possible to rotate the image in all 4 directions without moving the cam. Q3. I want to use the camera to demo some software on the ipad. the software runs in protrait mode and I am having trouble getting the entire ipad surface to display in this mode. Can I rotate the video feed while playing? A. If you click on "Mirror" option it will bring down a menu that has two more options: vertical and horizontal. By manipulating these options you should be able to get the image showing at all 4 directions. Hopefully one of them fits your need. Q4. This student has accommodations to have math problems "read" to him by a peer. Would it be possible to use the P2V to "take a picture" of his math book page, so that text-to-speech software could be used for the problems assigned in class that day? A. P2V is fully capable of the "taking a picture" job. But you will then need the software to turn pictures into text and then use the text-to-speech software? Or is there a text-to-speech software that reads directly from a picture that I am not aware of? Q: What is the difference between P2V and Ziggi-HD? A: P2V and Ziggi-HD essentially serve a similar purpose but different needs. The P2V is more of a portable device as its name suggests: Point to View, where you could use it in a variety of ways and detach the camera head to shoot in more angles as you seem fit. This would be great for Art and Science classes where you may have to be projecting objects that are not a flat surface. There are also more accessories for P2V which prepares P2V for different type of tasks. The Ziggi-HD, our latest addition is geared more towards a stationary type of presentation needs. We've made some design modifications so the stand on the Ziggi is taller, thus capturing A4 size documents more easily than using a P2V. The improved HD camera lens gives Ziggi-HD a decisive advantage over P2V resolution wise. Plus the new 6x zoom, Ziggi-HD is perfect for capturing fine detail on a larger document/material. The Ziggi-HD also comes with an anti-glare shield, which attaches to the camera and reduce the light reflection directly over, say a tablet device, which could create a glare on the screen. Both models are small and portable USB powered document cameras, and it is really how the teachers use the cameras that would determine which model is a better fit. For a spec overview, please refer to the comparison chart on the product page, or download thecomparison chart in pdf format. Q: I have 2048x1536 but no 2592x1944 in resolution options. Q: Exposure adjustment keys do not work. A: Not only the exposure keys, other keys do not work while Ziggi-HD is focusing, either. Please wait till Ziggi-HD successfully finished the focus action before pressing the keys. Q: Ziggi-HD is taking forever to focus. A: At higher resolution, the FPS (frame per second) will drop, thus slowing down the focusing speed as well. Please toggle to single focus mode and switch to a lower resolution to quickly find the sharp focus, then switch the resolution back up for better image quality. A: Due to USB bandwidth limitation, 2592X1944 can only run at very low FPS (frame per second), thus is recommended for objects with less movements only. Q: The focus is not clear. A: Please enlarge the color or brightness contrast near the center of the shooting area (marked by a green box when focusing) then try focusing again with Ziggi-HD. A: Please press and hold the power button for 5 seconds to force a shutdown of iZiggi-HD. Q: The Live View of iZiggi-HD is unstable, laggy, or choppy. A: Make sure your device is within the effective range of iZiggi-HD. Your device should stay within 10m (33ft) of iZiggi-HD. Q: iZiggi-HD cannot find my Wi-Fi network. A: Go to the Internet Connection page and click the “Refresh Network List” button. See if your network name appears. • Shut down the device and restart. Search for your network after restarting. • Make sure your Wi-Fi router is set to 2.4GHz. iZiggi-HD does not support Wi-Fi on 5GHz. Q: I am unable to connect iZiggi-HD to my existing network. A: • Please ensure the password you’re entering is the correct one. • Contact your Internet administrator for assistance. Q: I cannot connect to iZiggi-HD. A: Use a pin or paper clip to press the Reset button on iZiggi-HD to reset the device. Try connecting again after the reset. • If a reset does not resolve the problem, please contact IPEVO customer service. Q: I am not able to see a live image from iZiggi-HD on IPEVO Whiteboard or Presenter. A: • Make sure the camera is connected to the USB port of iZiggi-HD’s base. • Make sure your device is connected to iZiggi-HD via Wi-Fi. • Shut down the device and restart. • Unplug the camera and then reconnect its USB cable to the base. • Please check if the WiFi icon appears on the top left corner of iPad. When it does, exit and re-launch IPEVO Whiteboard. Q: VZ-1 HD automatically adjust to compensate for changes in lighting, is there a way to stop this? A: The exposure of VZ-1 HD can be locked so it does not automatically react or adjust to lighting changes. To do so, you can either press the exposure +/- button on VZ-1 HD, or on USB mode there is a flower icon on Presenter which disables auto exposure in a click, one more click enables auto exposure back on. Q: The focus beeps are annoying! Q: Does VZ-1 HD capture audio? A: No, VZ-1 HD does not have a microphone. Q: Can I record video with VZ-1 HD? A: Presenter does not have the capability to record video. There are several third-party applications that may be used in conjunction with VZ-1 HD to record video. IPEVO cannot offer technical assistance for these third-party applications. Q: Anything that moves on screen is very blurry and choppy. A: Reduce the resolution so that frame rate increases for smoother movement. Q: The brightness of the image constantly seems to fluctuate. A: Automatic exposure might be on, in which VZ-1 constantly adjusts for optimum brightness level. You can disable automatic exposure by clicking the flower symbol on the top right corner of Presenter. Q: I cannot play PowerPoint or Keynote slide while using Annotator on Mac. A: Due to system limitation, PowerPoint switches back to edit mode after entering drawing mode on Annotator. Keynote minimizes the window to dock after any click (on Interactive Pen or mouse) on tool bars in drawing mode of Annotator. Playing PowerPoint slide on Windows with Annotator is fully compatible. You will be able to switch back and forth between drawing mode and mouse click mode to progress your presentation and annotate real time. Q: My Chrome detects the download as malware, is that true? A: It is a false alarm. Please click on "Recover malicious file" to complete the download, or try to download the software using a different browser. You can then scan the file with your anti-virus software if you are still concerned. Q: How does IS-01 different from conventional interactive whiteboard? A: IS-01 is extremely lightweight and portable compare to conventional interactive whiteboard, and can be carried around to use at different classrooms. IS-01 also comes with an annotation software which features whiteboards, basic drawing tools like shapes and colors, and best of all, IPEVO cam and Presenter integration. IS-01 is also compatible with 3rd party software which allows you to do more with an interactive whiteboard rather than limiting yourself with a set of materials. And most importantly, IS-01 is much much more affordable compare to conventional interactive whiteboard. Q: There are two IS-01 shortcuts after I update the software. A: Please completely uninstall the IS-01 software before installing the new version. If you have already install the latest version and see 2 shortcuts please simply delete one of them. Both shortcuts work the same way so deleting any one of them will not affect the software. Q: My pen trace and pointing are inaccurate after I change screen resolution. A: Changing the screen resolution throws off the calibration. Please run the calibration app after every resolution change. Q: Why is there no scrollbar in my browser or finder window in Mac OS X when using IS-01? A: By default, scrollbar is enabled only when a mouse is connected to Mac. You can manually enable the scrollbar by going to System Preferences -> General and set “Show scroll bars” to “Always” to enable scrollbars. Q: I've turned the volume knob all the way up but still find the speaker volume is far too low and difficult to hear. A: Please check if your system or messaging app volume is set to too low. You can increase the volume to mid or high and adjust the green knob on VX-1 to find a clear volume for your conferencing need. Please also check if the remote party is having the microphone recording volume set to too low. If so, please ask them to increase record volume or turn on microphone gain. Q: The person I am calling cannot hear me. A: 1. Your microphone is set to Mute. If the LED indicators on VX-1 are red then your Microphones are currently muted. Press the red mute button to unmute. If the indicators are green please check to see that your microphone has not been muted on your iDevice or Computer. Q: No sound is coming from the speaker. Q: If my Computer and iDevice are both plugged into VX-1, can I make calls using my Computer? A: No. VX-1 will automatically switch to your iDevice if you have plugged in the 3.5mm audio cable. If you wish to use your Computer to make calls please unplug the 3.5mm audio cable from VX-1. Q: Does VX-1 remember my Mic settings? A: VX-1 will remember which Mic setting was selected before you pressed mute and will revert to the previous setting when you unmute. However, VX-1 will only remember your mic settings for the current session. Q: Why is the sound quality better when making calls using the internet/WiFi versus making calls using a cellphone network? A: When you use the internet to make a call the sound sampling rate is higher (16k Hz) than when you make a call using a cellphone network (8K Hz). This is why sound quality is better when you call using the internet. The reason for the low sampling rate is because when you make a call through your cellphone network it passes through the public switched telephone network (PSTN), to save bandwidth they lower the sampling rate. Q: Live stream on IE, Chrome, or other browser freezes after a certain period of time. A: Our latest Presenter has included Wi-Fi streaming support for our wireless products. Please download and install Presenter from our support page, and launch Presenter after your computer is paired to WS-01 via Wi-Fi. If you do not see the live image please go to settings (wrench icon) and check "wireless device" then select WS-01 from the drop down menu. Q: My USB 3.0 HDD does not work on WS-01. A: WS-01 does not support USB 3.0 devices. If you are experiencing an USB port failure after connecting a USB 3.0 device, please unplug the device and restart WS-01 to restore the USB port availability. Q: I cannot turn off my WS-01. A: Press and hold the power button for 3 seconds to force shutdown of WS-01. Q: I am unable to connect WS-01 to my existing network. A: Please make sure you entered the network password correctly. WS-01 will not prompt any error message if the password does not match, instead, it will simply not connect. Q: The image from my document camera and WS-01 does not show up on IPEVO Whiteboard. A: Make sure your doc cam is connected to the USB port of WS-01. Q: Can I charge WS-01 via a computer's USB port? A: Yes, but charging via a computer's USB port is slower than charging via AC adapter. WS-01's Wi-Fi will be disabled when plugged into a USB port and will turn into an SD card reader. A: Please try accessing the control panel using a different browser like Chrome or Internet Explorer, or clear the remembered text fields and try again. Q: TV or Monitor shows only black screen when connected with HDMI. 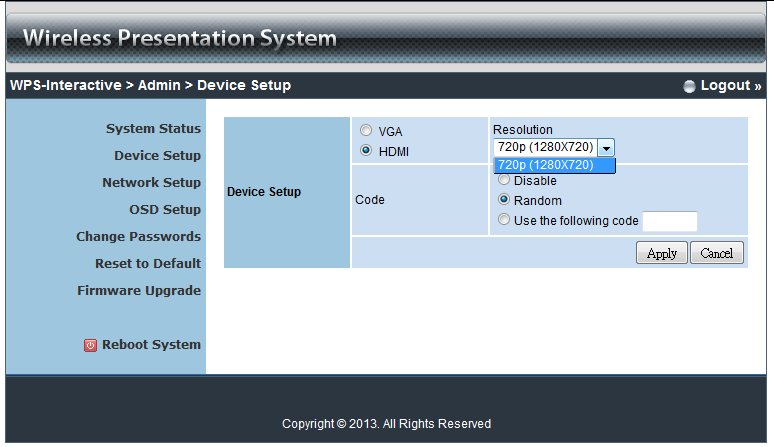 A: Please log in to WPS-HD's control panel and select HDMI as output under "Device Setup", then click "Apply" to save the setting. Q: Only 1/4 of the screen is projected when using Surface Pro. 1. Adjust the screen settings to scale it to 100%. Q: Does WPS-HD work with Windows RT devices? A: No, Windows RT runs on devices with different hardware structure than PCs, and WPS-HD does not work on those. Q: Does WPS-HD work on an iPad or other Wi-Fi enabled tablets? A: No, WPS-HD works with Mac and PC only. Q: What are the differences between WPS and WPS-HD?